Very friendly staff and excellent location. Clean room and confortable beds. Location is good, within walkable distance to boat terminal and night market. Staff is friendly, helpful and efficient. Furniture and decor in the room are outdated. However it’s still very good value for the price. Will recommend to friends. Staff were fantastic. Especially Mac who drove the shuttle bus. Would always make extra trips when needed. Breakfast was great. Beds comfortable and rooms clean. This hotel was conviently located close to the pier and to the shops. There were a lot of options for food and it was a short walk to the train station. This property was recently remodeled so we had all the conviences one would expect. Very friendly front desk staff. Great off street parking. Near the Cairns Base Hospital, short walk to the city. The building is next to Cairns hospital & a park separates it from the shoreline. Get the most of your visit to Cairns Base Hospital by staying in a hotel nearby. Local landmarks allow you to take in the local culture on your next holiday. There is perhaps no better way to enjoy Cairns Base Hospital than by booking a nearby Cairns Base Hospital hotel! Whether you are traveling alone, as a couple, or with your entire family, your visit to Cairns Base Hospital will be a highlight of your holiday – and your hotel should be too! 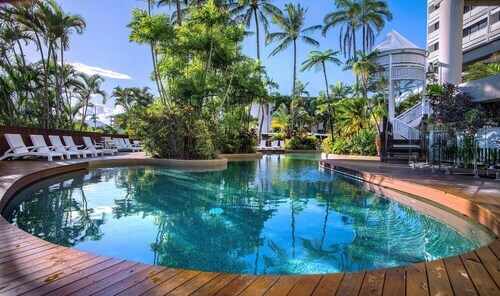 Finding your dream hotel near Cairns Base Hospital is easy when you search here on Expedia.com.au. Narrow down hotels based on your budget, hotel class rating, or specific hotel themes. 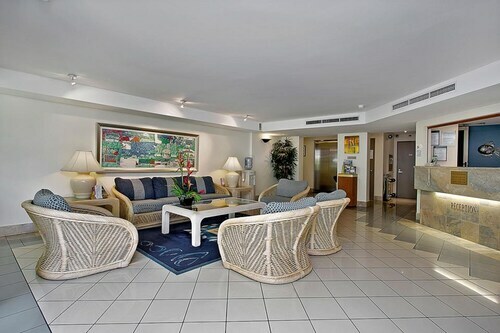 You can always find the best Cairns Base Hospital hotel for your needs when you book with us on Expedia.com.au.